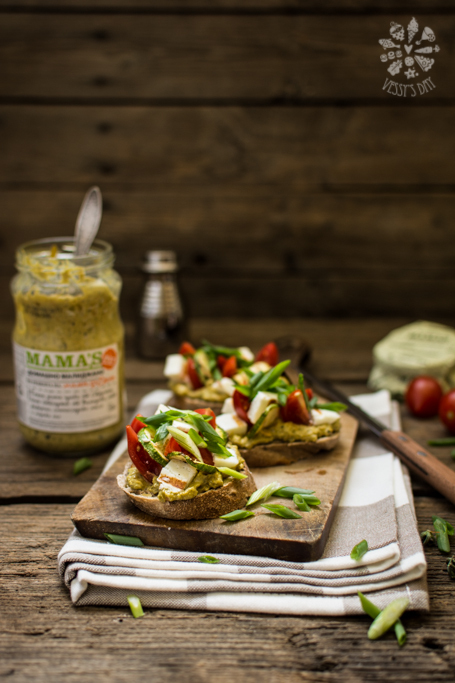 If I can explain with words how delicious these bruschettas are, but I guess, there are no words to describe this delicious bruschettas, that are not only yummy, but super easy, quick and healthy. In the season of outdoor food and fun, I am trying to share easy and quick recipes, perfect for an outdoor event. 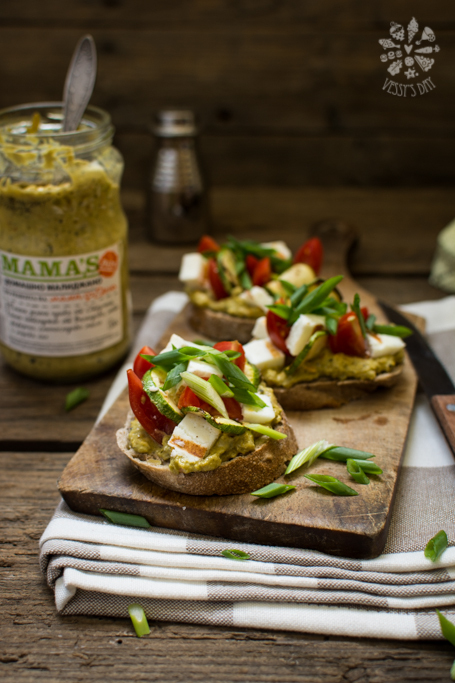 These bruschettas could be prepared on a BBQ, while enjoying the company of your friends and family. Spread one layer of the malidzano over the bread. Top with pieces of halloumi cheese, cherry tomatoes, zucchini and spring onions. Season with salt and pepper.